Cooking is one of life's basic skills which is not only fun and nutritious, but one that can give so much joy to yourself and others. All you need is fresh seasonal ingredients, a little time and an open mind. Oh, and your favourite music! Come on your own or gather a few friends and organise your own private class, either demonstration, hands-on or a mix of both. We also cater for corporate team building classes. For a quote, please submit your details Here. 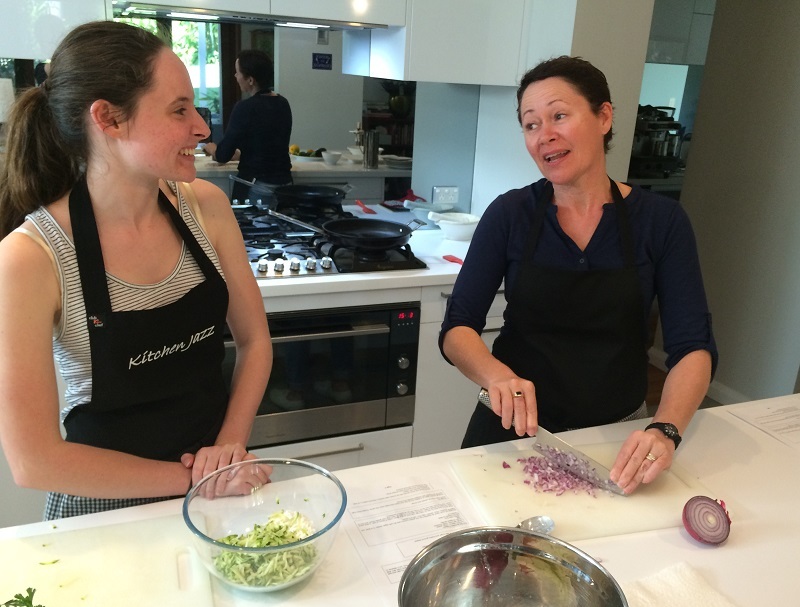 Fee includes tuition, ingredients, recipes and generous tastings. ​Freshly returned from a trip to Crete, and full of inspiration, I just have to share the cuisine of this unique Greek island. I can still taste the amazing produce – soft fresh cheese, fragrant wild herbs, velvety fruity olive oil, perfumed honey and vegetables that pack a punch. So I scheduled a few cooking demonstration classes to showcase this cuisine. A cuisine of its own, Greek but not Greek - Cretan. Class menu will include a few starters/mezze followed by a meat main course and a dessert. 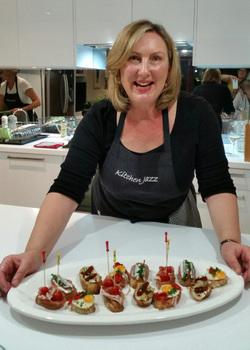 Classes are held in Mona Vale, NSW and will be 2.5 to 3 hours long. Full payment in advance is required to guarantee your booking. If your desired date is full, please contact me or keep an eye on this website as more classes may be scheduled upon demand.